British book publishers The Folio Society that specialises in releasing only the best books around has released Ian Flemings CASINO ROYALE during the fall. The version of the book is bound in blocked cloth set in Miller text and Folio. The book has 192 pages and comes in a slipcase. The book features 6 drawings by Fay Dalton. She is Fay Dalton is a London-based illustrator. She has a first class degree in Illustration and was the winner of the 2010 Pickled Ink Award for illustration. Fay combines traditional drawing and painting methods with digital painting. The book also features a forward by John Banville who is amongst other things a crime novel writer. I must say that when I first found out about this book I knew I got to have it even if it has a price tag of £34.95. It was the paintings that attracted me the most. 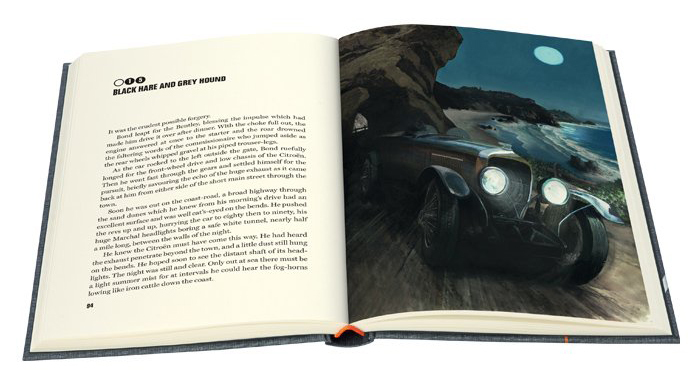 But then I found out that the release only carried six drawings five of them are available on The Folio Society's own website. 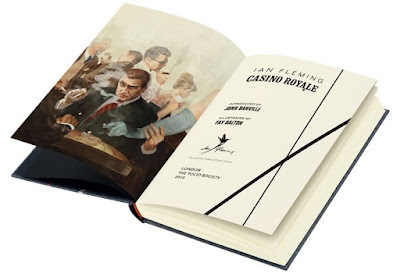 And with almost 30 different Casino Royale editions in my collection I decided not to get it...at least for the time being. 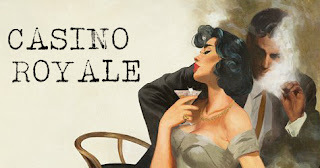 When it comes to collecting James Bond I always say like the smoker who stopped smoking. 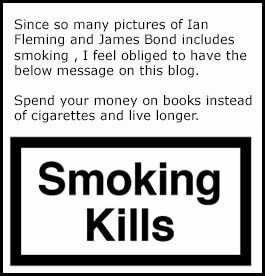 Once a smoker, always a smoker...Once a Bond collector, Always a Bond collector. I might just have to get back to you on this. 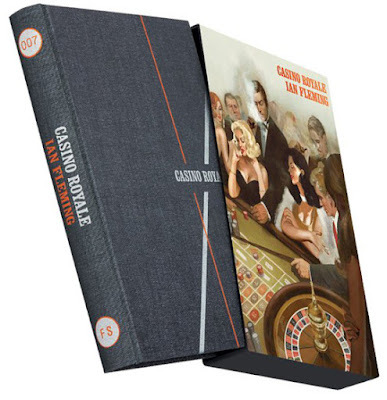 If you wish to buy this edition of Casino Royale you can do it here. If you already have bought it please comment below and tell us more. See pictures of the book below.